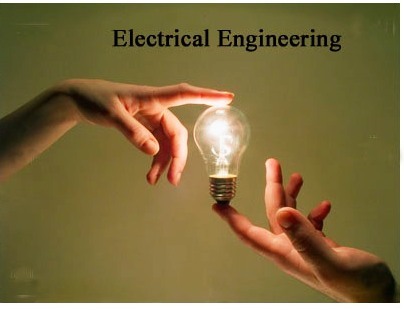 Electrical and Electronics Engineering(EEE) is one of the most popular engineering disciplines in today’s world and has been one of the major driving forces of high technology over the past few decades. Its rapid growth doesn’t halt to just the core areas like power generation and transmission but also extends to even wireless communication and mobile technology. Considering the popularity of this course, getting admissions as well as job hunting has become very tedious. With foundation laid on physics and mathematics, electrical engineering has become an distinct field of it’s own in the 19th century due to innovations such as the generator, motors, telephone, wireless communications and electronics. Since then, electrical engineering has come a long way eventually expanding itself into a new and advanced course named “Electrical and Electronics Engineering”. Not only has it been one of the key force behind cutting edge technology in areas such as power engineering, computer engineering, communications and mobile technologies, it has also significantly impacted several other fields such as nanotechnology, biomedical engineering, neuroscience and biotechnology. It is imperative that students aspiring to pursue this course must have a strong foundation in physics and mathematics. Core courses in the undergraduate curriculum includes power system analysis, motors, transformers, control systems, high voltage engineering, power electronics, power system protection and switchgear and utilization of electrical energy. EEE curriculum also gives an insight into microprocessors and microcontrollers. Whereas the first year of the course is devoted to mathematical and scientific concepts and also the basics of all engineering disciplines, the subsequent semesters introduce the students to all the aforesaid core subjects. 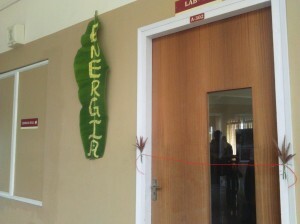 By research and consultancy projects in the field of engineering, conducting training courses , setting up demonstration centre for energy efficiency, conducting biennial energy conferences, providing comprehensive EE standard library and building a documentation centre, in short the MoU aims to promote energy efficient working of campus. Electrical and Electronics Engineering Department , AISAT in collaboration with SEEM organised a three day workshop on “ Solar PV System Design and Installation” at AISAT on 22nd , 23rd and 24th March 2013. Around 30 delegates from various fileds participated in the program. Electrical and Electronics Engineering Department , AISAT hosted District level 5th Seminar series competition on “Role of Phasor Measurement Unit (PMU) in power systems” conducted by KSEB Engineer’s Association on 25th January 2014. Electrical and Electronics Engineering Department , AISAT in association with Dayalbagh Educational Institute, Agra organised a two day National Workshop on Solar Photovoltaic Energy Technology on 20th and 21st Marc 2014. Talks on Energy system and sustainability metric, solar photovoltaic systems, Planning of solar PV plant for institutional campuses idea and challenges for SPV technology in context of Kerala etc were delivered by experts from Government agencies, academia and industry during the workshop. Delegates from different parts of India like Andrapradesh, UP actively participated in the workshop. Electrical and Electronics Engineering Department , AISAT conducted a Two Day workshop on “ Impact of Power Quality issues in Energy Conservation” jointly sponsored by Kerala State Council for Science, Technology and Environment(KSCSTE) on 27th and 28th February 2015. Workshop covered topics like Energy Conservation, National and International standards on Power Quality, Operations and safety hazards etc. Electrical and Electronics Engineering Department , AISAT conducted 2 day project competition and technical and talents exhibition on 19th and 20th February 2014 for Electrical students. Energia and Talents was an excellent platform for the upcoming Electrical Engineers to show their innovative ideas and talents. KSEB also participated in the exhibition by setting a demonstrative area on various Substation equipment’s. Energia’15 a three day Electrical Exhibition and project competition was organized by Electrical and Electronics Engineering Department , AISAT from 11th Feb 2015 to 13th Feb 2015. Energia’15 included a project competition, green energy poster completion and various other exhibits. Several working models like current detector, automatic railway gate opening system, mobile phone detectors were there in project competition group. In association with LUMINA –EEE Department Association Day-2015,an E- Waste model competition and Electrical photography competition was organised on 13th August 2015.